Digital technologies pervade every aspect of modern society. However these opportunities are not enjoyed by the whole of the UK population - for example, 17 million people in the UK still do not use computers and the Internet and there is a strong correlation between digital exclusion and social exclusion. There are significant and untapped opportunities to use technology better on behalf of citizens and communities. These include improved service planning, design and delivery, particularly to address the needs of disadvantaged groups and individuals." There is a rather slow-to-load 8 minute explanatory film available, and pages 73-75 of the action plan contain an Appendix "Technology Futures and Digital Inclusion" by Chris Yapp of CapGemini. The closing date for consultation responses is 19 January 2009. Community Perspectives on Digital Inclusion - October 2008 "Research Report"
"This report summarises insights and experiences from community and third sector organisations involved in initiatives aimed at opening up digital technologies to excluded communities. The report is based on conversations with staff and service users, collected through one-to-one interviews and visits to specific initiatives, and on two workshops (Nottingham, 26 June 2008; London 30 June 2008). Additional evidence was provided by studies carried out by third sector organisations, Ofcom and UK Online Centres. 4. highlight messages and potential building blocks for the Digital Inclusion Strategy." Harriet Swain's 7 October 2008 The art of avoiding plagiarism in the Education Guardian had me smiling when it was pointed out to me today, with its "Don't forget that even if you paraphrase someone else's ideas you still need to mention whose they are.". The art of avoiding plagiarism was published a few days after I'd written to Harriet Swain, and subsequently Donald Macleod, the Guardian's Education Editor, asking for the Guardian to acknowledge its sources in its 14 August The art of being virtual, which drew quite heavily on What to advise a student about using the web here in Fortnightly Mailing. Getting no reply to two emails to Donald, one to his colleague Alice Woolley, and one to Siobhain Butterworth, the Readers' Editor, and feeling embarrassingly like "angry of Tunbridge Wells", I wrote by fax to Alan Rusbridger, the Editor of the Guardian asking for the Guardian to credit me for the material it had re-used. A couple of days later (and this may have had nothing to do with my hassling Alan Rusbridger) I got an acknowledgement from Siobhain, and yesterday she wrote to me to saying ".... since the Guardian's editorial code says that journalists shouldn't publish other people's material without attribution I agree that your contribution should have been acknowledged. The article has been amended to make that clear." In the overall scheme of things this is a trivial story, except if it gives encouragement to others to push mainstream publishers to acknowledge their sources, and insofar as it shows the eventual proper working of the Guardian's editorial code. What makes some Wikipedia articles better than others? "This exploratory study examines the relationships between article and Talk page contributions and their effect on article quality in Wikipedia. The sample consisted of three articles each from the hard sciences, soft sciences, and humanities, whose talk page and article edit histories were observed over a five–month period and coded for contribution types. Richness and neutrality criteria were then used to assess article quality and results were compared within and among subject disciplines. This study reveals variability in article quality across subject disciplines and a relationship between Talk page discussion and article editing activity. Overall, results indicate the initial article creator’s critical role in providing a framework for future editing as well as a remarkable stability in article content over time." Blackboard vs Desire2Learn: what is the other side to this story? Desire2Learn tells a convoluted story about a Court Order to permit a Blackboard expert witness to attend Desire2Learn's July "FUSION" conference incognito, and about an only partially successful court ruling that enables Blackboard to investigate - in two US universities - the way in which Desire2Learn's VLE runs when hosted locally. It is not clear whether Desire2Learn is seeking mainly to generate interest in the patent dispute immediately prior to next week's giant EDUCAUSE conference, or to get some till now confidential matters into the public domain; and it is probably a bit of both. It would certainly be interesting to read Blackboard's side of the story, but that is probably not going to be possible given the two companies' understandably different approaches to putting material and commentary into the public domain. "Students, academics and higher education institutions are to benefit from the combined experience and knowledge of educators throughout the country. An innovative project announced today will significantly increase access to educational resources across the higher education sector. HEFCE has announced an initial £5.7 million of funding for pilot projects that will open up existing high-quality education resources from higher education institutions to the world. The Higher Education Academy and Joint Information Systems Committee (JISC) will work in partnership to deliver the 12-month pilot projects. These will run at institutional, subject and individual level along with accompanying support services. The projects will be formally launched in April 2009." The invitation to tender for this work will be issued in December 2008. Eleven more languages are available* for translation by Google: Catalan, Filipino, Hebrew, Indonesian, Latvian, Lithuanian, Serbian, Slovak, Slovenian, Ukrainian, and Vietnamese. This increases the number of languages from 23 to 34, and more than doubles the number of language pairs available to well over one thousand. Franz Josef Och Google's Lead Research Scientist in Machine Translation explains. You may also be interested in this informative, if slightly tense, 28 minute "round table" in which Franz Josef Och and Mike Cohen, Manager - Speech Technology, talk about their work. Expect machine translation to be built into specific products before too long, in particular, email. * Or are about to be? On 30/9/2008 6/10/2008 from the UK the additional languages are not yet available at Google Language Tools. On 15/10/2008 all the additional languages are available from the UK. This What is Android? 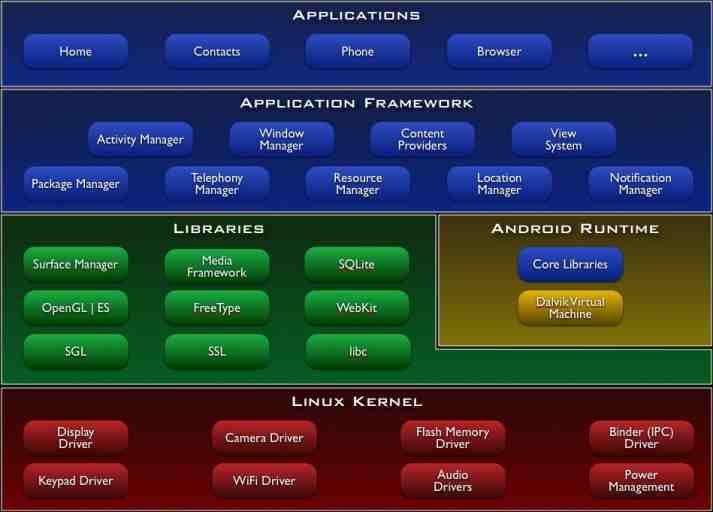 page gives you a feel for the complexity and power of the Android Open Source phone operating system, and shows clearly how minor the "phone" component of a modern phone will be, from a software and capability point of view. Inevitably, the "human computer interface" and usability side of the design of handheld devices will be centre-stage. And Android is a case in point of something "generative" rather than "tethered". For more on this, see The future of the Internet and how to stop it, and John Naughton's Google's Android could smash iPhone's locked gateway.